Look everyday stylish in this collection of Unstitch Kurti from Salwar Studio. 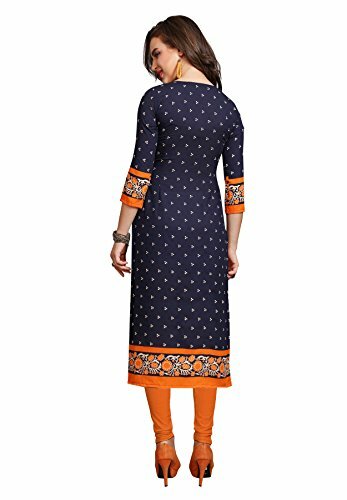 Dark Blue & Orange Synthetic printed unstitch kurti in an array of Floral prints in contrasting colors make it a must have this season.Can be customised upto 42″ size, and in any patterns like, straight cut, a-line etc. 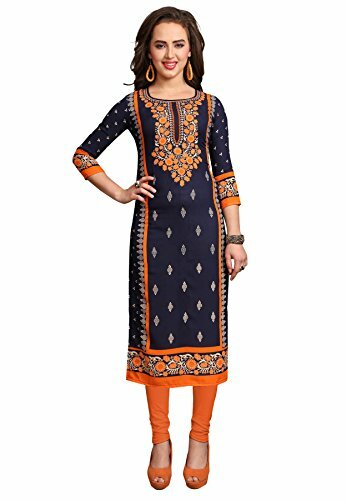 Best for casual & office wear, Team this kurti with bright colored legging or churidar & chunky accessories to get a stylish look.Kurti Fabric : 2.50 Mtr, Kurti Length : 42 Inches.Wash Care : Regular Hand Wash. Ocassion : Casual Wear.In the Box : 1 Kurti Fabric. 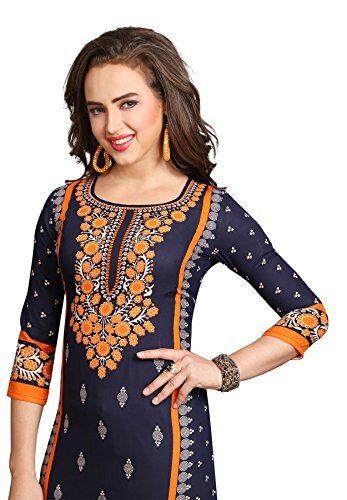 Top Fabric : Synthetic, Top Color = Dark Blue & Orange ;Note-This offer consists of only Kurti Fabric and does not contain bottom wear . Leggings shown in image is only for representation purposes and is not a part of this product offering. Product colour may slightly vary due to photographic lighting sources or your monitor settings. We have not authorised any other seller to sell our brand Salwar Studio. Any seller doing so is selling fake Salwar Studio Products. Buy original Salwar Studio products from the seller “Salwar Studio” only.